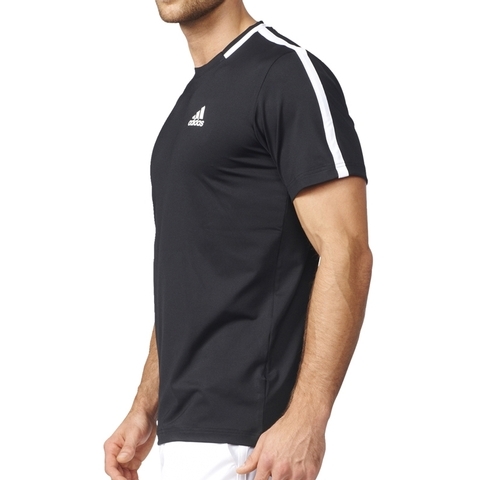 Love of the classic design with a modern, athletic silhouette. 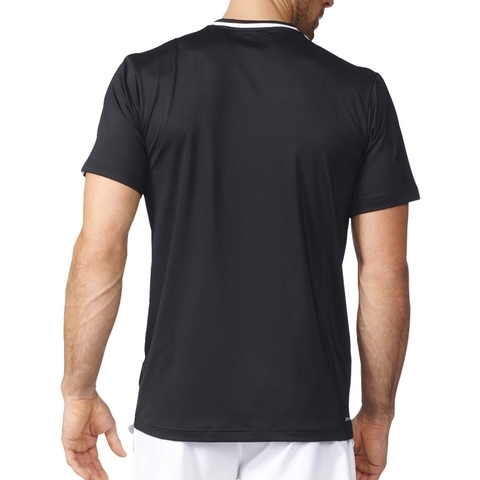 Made in climalite fabric that pulls sweat away from your skin for optimum moisture management, enhancing your natural temperature regulation. 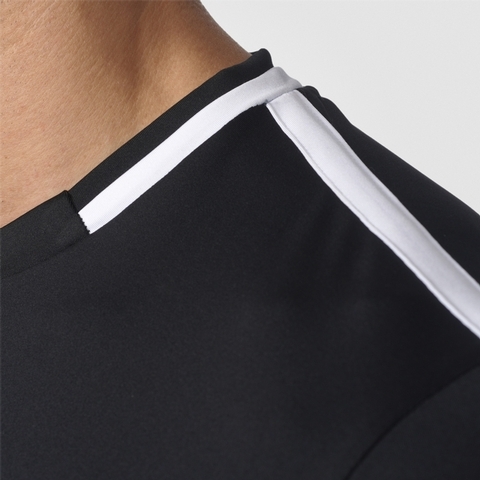 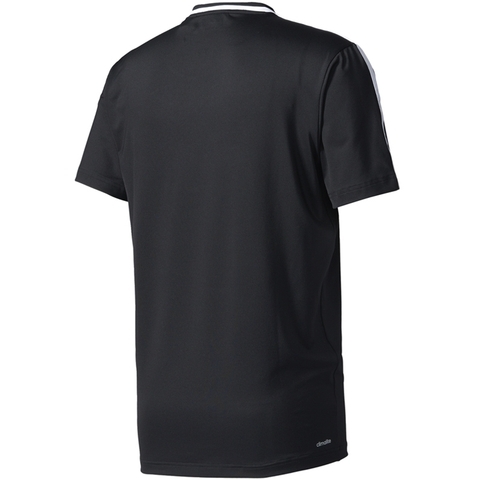 Contrast color stripe on shoulder and necktape. 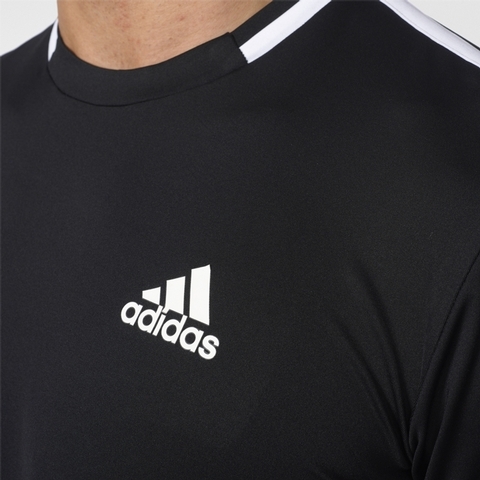 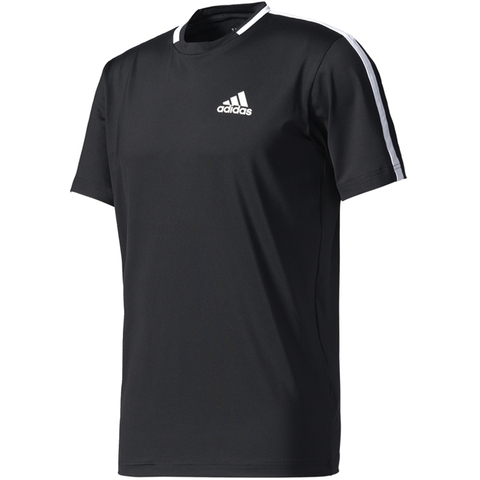 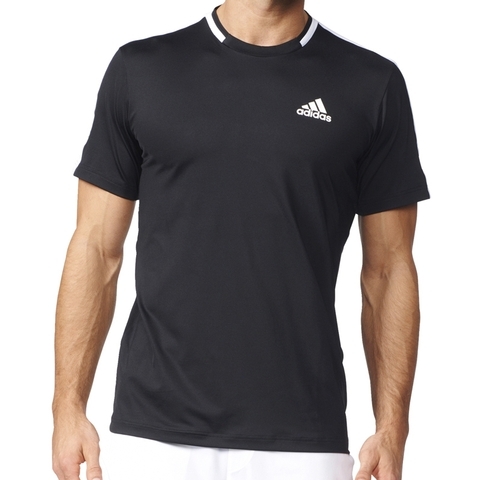 adidas three stripe logo on chest.